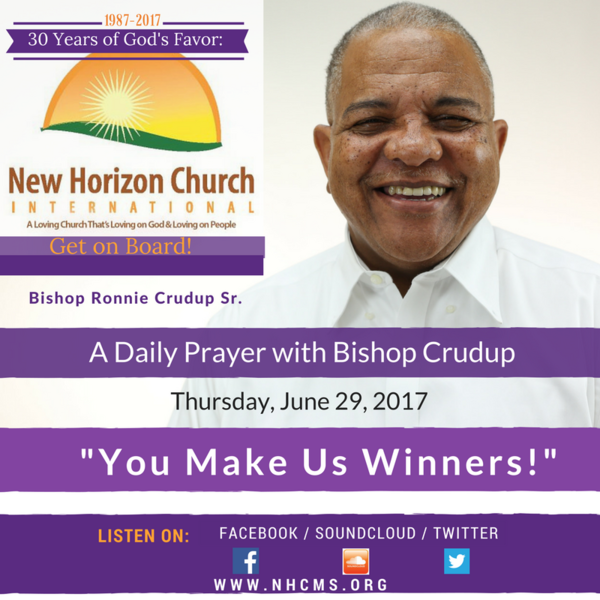 For the final Thursday of the month, June 29, 2017, A Daily Prayer with Bishop Crudup's entitled, "You Make Us Winners!" Thursday, March 16, 2017, A Daily Prayer With Bishop Crudup "Lord Thank You For Thursday!" Tuesday, March 21, 2017, A Daily Prayer With Bishop Crudup "Call Him By His Name!"